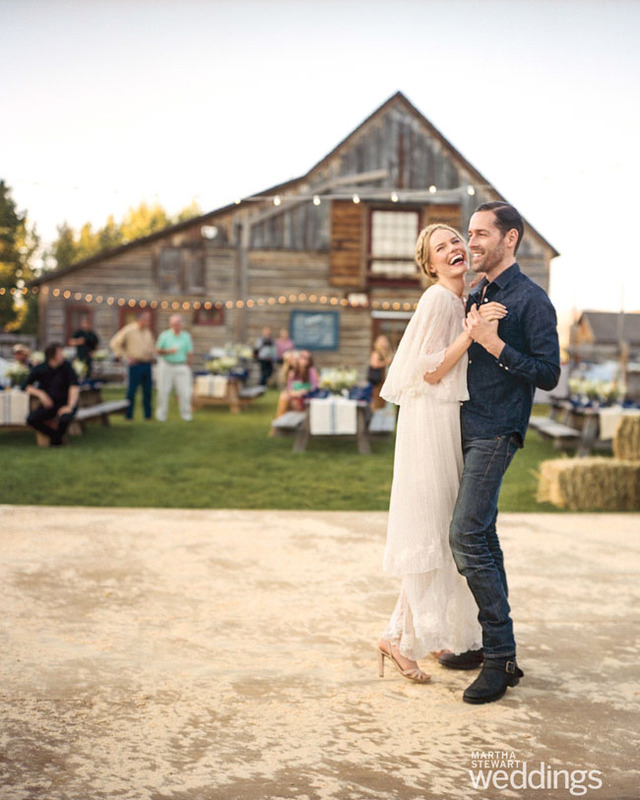 If you’ve already picked up a copy of the winter issue of Martha Stewart Weddings, you may have caught a glimpse, or possibly poured over, Kate Bosworth + Michael Polish’s gorgeous Montana wedding. We’re excited to share a few of our favorite photos with you today (taken by John Dolan), and you’ll definitely want to pick up a copy of the magazine to see the entire wedding in all of its grandeur! 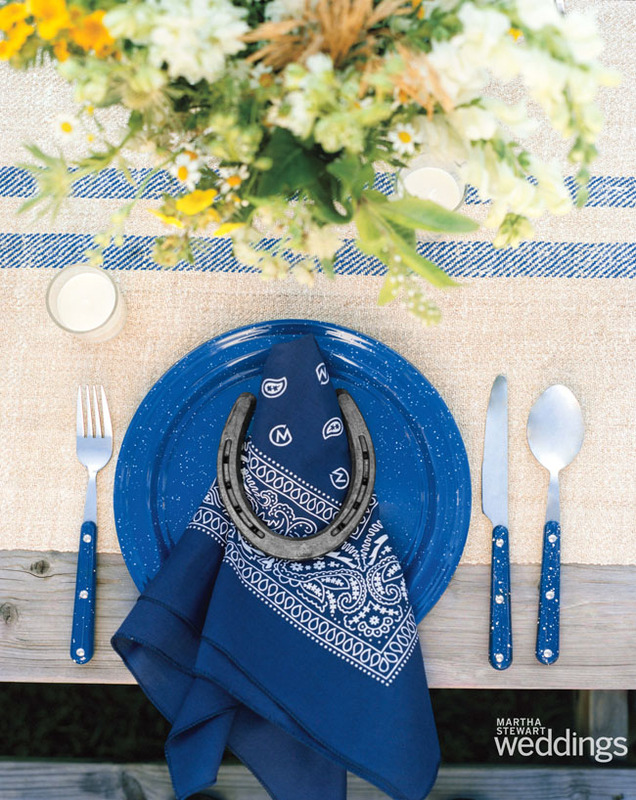 Here’s a peek at their rehearsal dinner decor, which featured enamelware plates, camp lanterns, custom monogram bandana napkins + horse shoe napkin anchors. The loosely arranged wildflower centerpeices evoked an equally casual + playful feel. Majorly love it! 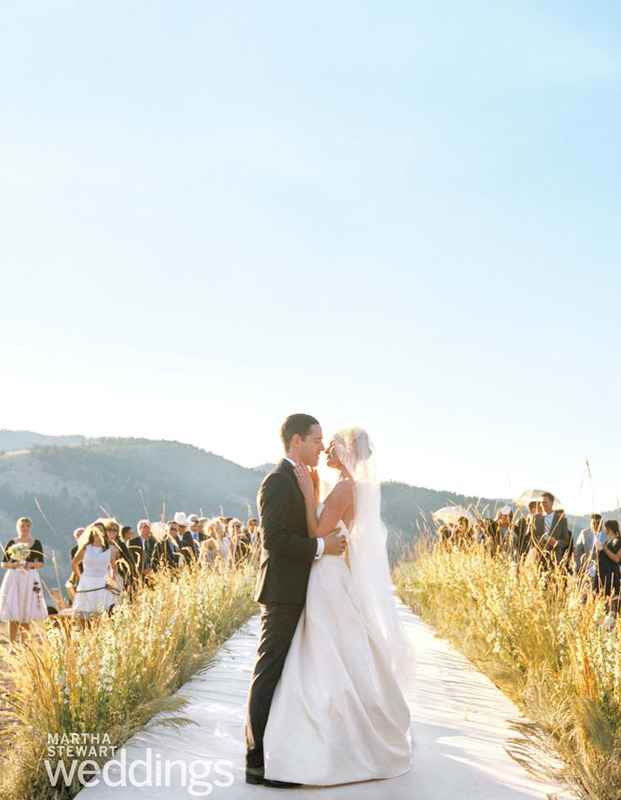 You can see more from the behind the scenes of their wedding on Martha Stewart Weddings. 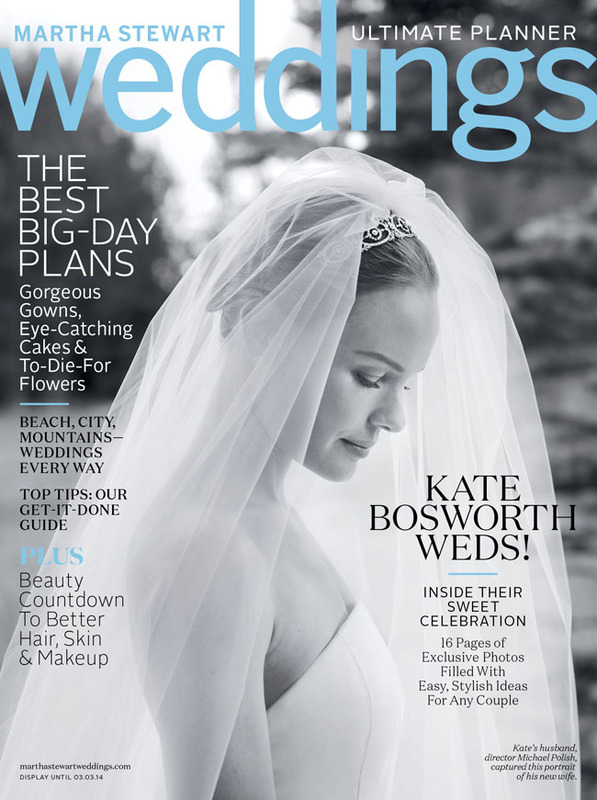 Kate + Michael’s wedding weekend is perfect inspiration for all of you newly engaged couples who are planning a rustic, outdoor wedding, so be sure to pick up the winter issue of Martha Stewart Weddings, on newsstands now, to see even more – including their welcome dinner, rehearsal dinner, ceremony + reception! 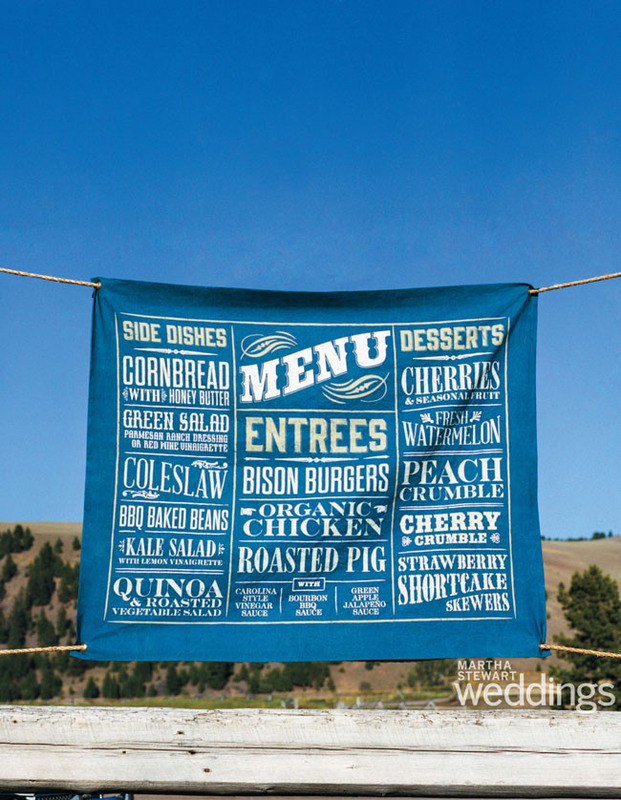 Congrats to Kate + Michael on a truly gorgeous day! These are gorgeous wedding photos. And wow, her husband is talented. That’s a gorgeous photos of Kate that he shot. Too beautiful. I saw a fantastic video on the Vogue YouTube channel on her visit with Oscar for the dress fitting. I’m not usually into ott-gushy-bridal-anything, but I highly recommend watching. We just chose not to sweat the rest. Kate looked so beautiful. What a gorgeous setting! !